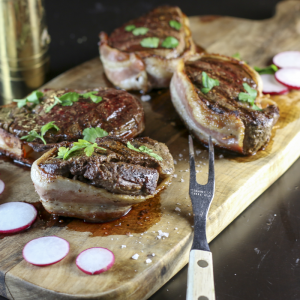 Fresh, elegant and easy-to-make. This salad is the perfect side when you want a salad that does not compete with your main course, but still shines on its own. Fines herbes and walnut oil give this simple green salad a flavor pop that leaves you wanting seconds. If you don't have walnut oil, feel free to substitute a good quality extra-virgin olive oil. You can make this salad ahead of time by preparing the lettuce, chopping the herbs and making the salad dressing and then assembling right before you serve. 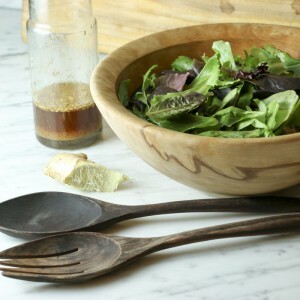 Read post on how to make a great vinaigrette. For a special presentation, reserve one large whole leaf of butter lettuce per guest and use as an individual bowl to serve the salad in. Fines herbes (no that is not a typo) and walnut oil transform a simple butter lettuce salad into a refreshing, palate-cleansing, stand-out, but non-competing accompaniment to your main course. Fill your sink with water. Remove lettuce leaves from head by cutting around the core with a paring knife. Place leaves in water-filled sink and swish around to clean. Remove leaves and spin in a salad spinner. Put lettuce in plastic zip lock bags with a piece of paper towel to soak up any extra moisture. Refrigerate until ready to serve. Can be done a day in advance. Rinse and dry herbs and finely chop. Can be done an hour or two in advance. Finely chop shallot and place in a small mixing bowl. Whisk in mustard and vinegar. Slowly add walnut oil, whisking to create an emulsion. Season with salt and pepper. 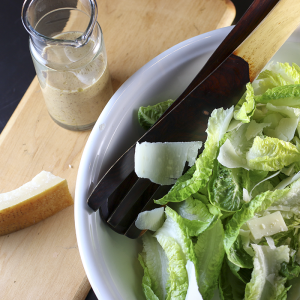 Toss lettuce, herbes and dressing. 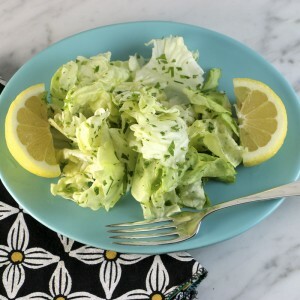 Squeeze 1/2 - 1 lemon on salad and toss again. I love love love this salad! 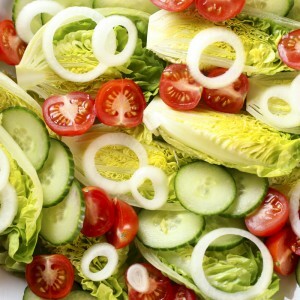 It is very different from your typical salad in that there are really no other vegetables besides the lettuce. However, this in no way takes away from the flavor of the salad. The blend of herbs and the walnut oil pack a powerful punch. 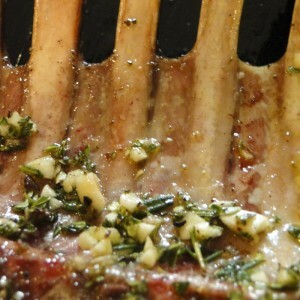 I also made this salad to go with the lamb racks. Simple and wonderful, did not compete with the other flavors. Lovely dressing. served this salad twice this weekend. once with cioppino on saturday and with pork ribs on sunday. rave reviews. one friend: “what is this salad dressing. 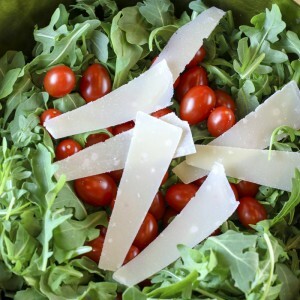 this is the best dressing i’ve ever had.” another friend: ” this is a perfect salad. simple. flavorful. wow, what’s in it?” thanks kim. you make entertaining fool proof!!! Thank you Jean! It is hard to go wrong with walnut oil. This is probably my all time favorite simple green salad.